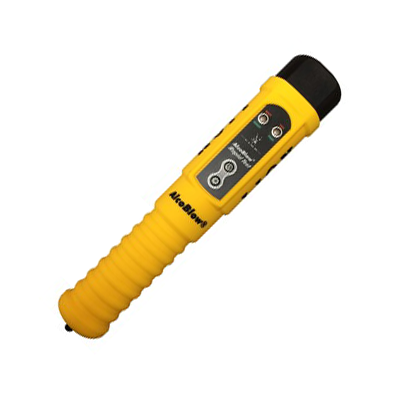 The Lion AlcoBlow-RT® breathalyser is ideally suited for use in situations where large numbers of people have to be tested, and with the minimum of intrusion; examples include – mine entrances, prisons, schools, factories or heavy vehicle/industry safety-critical establishments. With no physical contact between the subject and instrument, there is no mouthpiece to replace for each test. This is a simple to use, rapid response instrument that can determine within seconds if the subject has alcohol in the subjects breath. This automatic, simple-to-use, no-fuss, robust breathalyser can be operated in either active or passive modes and uses Lion’s electro-chemical fuel cell technology. 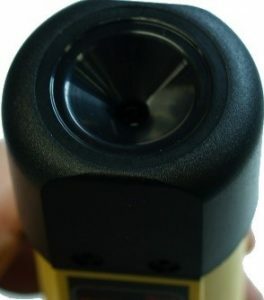 In ‘Active’ mode the subject blows into the integrated sampling cone until a sample is automatically taken by the instrument for alcohol analysis. Within seconds a ‘red’ or ‘green’ light appears, along with a beep tone, to indicate whether the sample contained alcohol. The instrument then clears itself – so that within seconds it is ready to test the next subject. peaking. Again, a ‘red’ or ‘green’ light is displayed indicating whether or not alcohol is present in the sample. This ‘Passive’ mode is also ideally suited to analysing the air above fluids, to determine if it contains alcohol. Powered by 4 x AA alkaline batteries, the AlcoBlow-RT® breathalyser will provide approximately 5000 breath tests. In accordance with the Australian Standard AS3547:1997 the AlcoBlow-RT® is required to be recertified every six months to ensure accuracy. Lion Breathalysers Australia and our approved Calibration/Certification Agents are the only “manufacturer (Lion Laboratories Limited) authorised” calibration/recertification facilities within Australia/New Zealand/PNG and the South Pacific. To ensure your instruments are maintained to the highest possible standard and accuracy please call us to confirm authorisation of your intended service provider.